Joshua Wood graduated in BEng (Hons) Mechanical Engineering with Composites in 2016 at Plymouth. 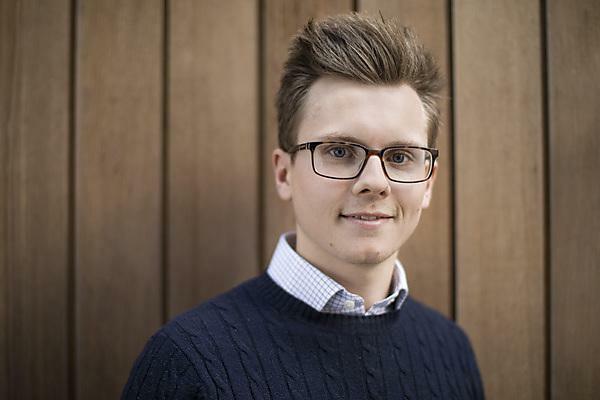 Thanks to the knowledge and skills collected on the course, and the industry-specific experience gained from his placement year, Joshua went straight into a graduate role as a research engineer with the National Composites Centre. “Since finishing my degree at Plymouth, I went straight into a graduate role at the National Composites Centre, here in Bristol. "Working with a company at the cutting edge of composite research and development has to be the highlight of my career so far. In particular, being involved in research projects using robots to manufacture composite materials quicker and more accurately – a process called Automated Fibre Placement (AFP). "Since working at the National Composite Centre, I can see how significant choosing this degree at Plymouth was for me. "My time at the University confirmed my original career aspirations to go into the aerospace and composites industry, and provided me with a strong foundation for my career, which I now build upon every day." "The course prepared me well for my current role and I often refer back to the principles I first learned in my degree. "However, I really feel I benefited from my year-in-industry. It enabled me to gain valuable experience that is only possible to get outside of university. This prepared me well for trying to find a graduate job when I left university – maybe one of the reasons I am where I am now. "I spent my industrial sandwich year working for General Electric Aviation Hamble, where I had the opportunity to work with a team of engineers on Airbus’ next generation passenger jet the A350-XWB. This allowed me to expand my depth of knowledge of the aerospace industry, develop my teamwork ability and communication skills. "I was part of the design team and I really enjoyed the work I was doing – it made me realise what I wanted to do when I graduated, inspiring both my short and long-term career plans." "I knew the next generation of aircraft and cars were made of composite materials and it would be an exciting new field of materials science for me to enter. "I chose Plymouth because it offered a tailored composites degree, which very few universities offer. "Plymouth is a great city to be a student – the campus is in the city centre, with a large student population, so you never feel alone. I made loads of new friendships, which still exist today." "I feel that the knowledge, support and guidance provided by the composite academic staff at the University really helped develop my knowledge of composite materials and engineering, preparing me well for my current role. "This support was not just limited to the classroom, but also the time spent at the university’s Advanced Composite Manufacturing Centre working on the ‘hands on’ aspects of the course. "The careers and employability service helped me a lot too – supporting me while searching for graduate jobs and with my sandwich year too – from interview practice, to attending the very useful STEM careers fair. "I took part in the Faculty of Science and Engineering Flux Competition, hosted by Babcock International, and was part of the winning team of six students. This competition gave me experience of competing in a fast-paced business environment, while enhancing my presenting skills, networking with local employers and developing my team working skills – it also looks really good on the CV." Whether you want to be a composite development engineer or a manufacturing process engineer, we’ll work with you throughout your degree to make sure you’re prepared and ready for your career in the industry.